Shaving ... it's one of the great rights of manhood. Hundreds of millions of men have incorporated shaving into their grooming routine every single morning. Of course, it isn't just men who use razors. Millions of women worldwide shave their legs nearly every day. Shaving goes almost as far back as humankind itself. For this reason, the razor industry has become a billion-dollar business in the United States alone. So, how have razors changed since the beginning of shaving? Well, did you know the first razor-like tools found by archeologists date as far back as 180,000 BC? It's true! In the past, razors have been fashioned out of any available sharp instrument, including bone, copper, shark's teeth, and even solid gold. Regardless of how much razors have evolved over the years, though, the basic design is still the same ... something sharp to shear follicles effectively. Many different forms of razors have been used throughout history. These differ in appearance, but they are still very similar to razors used today. Ancient razors were often made of anything that was sharp. Archeologists have found razor-like tools dating thousands of years that were made from clam shells, bone, and flint, and cave drawings have also been found depicting razors. Recent reports date the razor as we know it back to ancient Rome in the 6th century BC by Rome's fifth king, Lucius Tarquinius Priscus. Julius Caesar was said to have had his beard plucked out by tweezers, while other men of his time actually rubbed their faces against pumice stones. Modern razors were invented in the 18th century, with the first electric razor being invented in the 1920s. Inventor Jacob Schick patented the very first electric razor in 1923, which revolutionized the razor industry. In the years following, thousands of products became widely available such as battery-powered electric razors and electric razors for wet/dry use. New razors coming out are using semiconductor (solid chemical elements that can conduct electricity under some conditions but not others) technology. These blades, referred to as 'nano-blades,' will have what researchers call 'atomic sharpness,' that is akin to that of a diamond. The difference between electric razors and conventional blades is not just due to their electronic components. Electric razors differ in operation from regular blade razors in that they use a cutting process that mimics scissors, whereas conventional blades use direct skin contact. The hair follicles enter a screen with tiny holes in it, and the moving blades that are connected to an oscillating motor shear them. The motor moves them in a circular, spinning motion against the foil between the skin and the razor. This process is safer and less irritating than a conventional blade because what is cutting the hairs is not touching the skin, but rather the inside of the razor. The two most common and popular electric razors used mostly by men today are the straight foil razor and the tri-headed rotary razor. The first has a straight edge across the top and a screen that resembles a very fine cheese grater that covers the blade. The second looks almost like a microphone. These razors both work in much the same manner, sweeping across the cheek and collecting hairs inside a foil. The foil grabs the hair follicles, while the blade assembly slides against the foil and cuts the hairs. 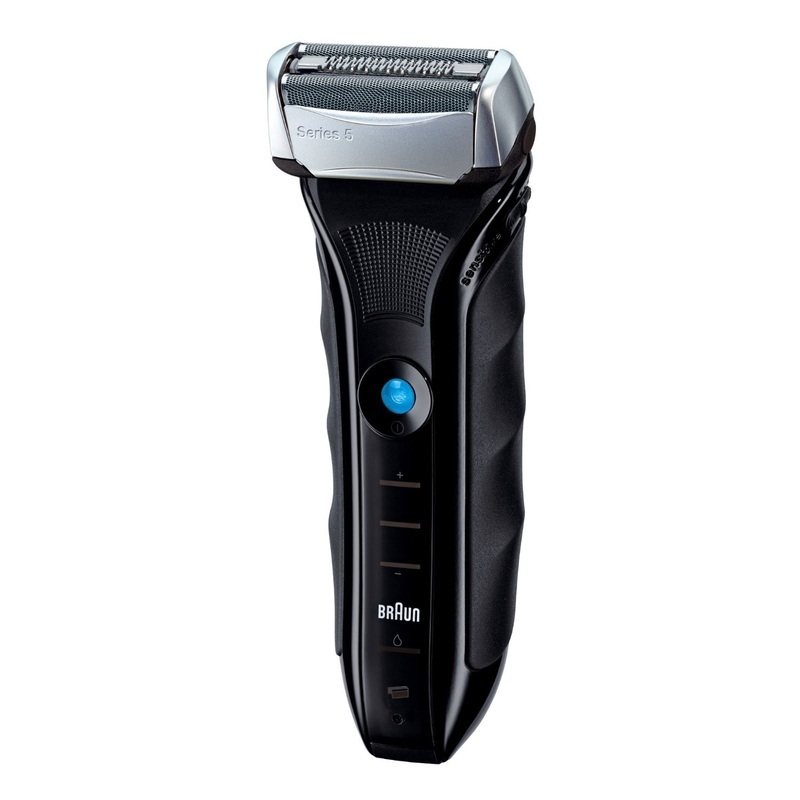 Electric razors are convenient because, though some men choose to use them for a closer shave, they do not require shaving gels or creams. They also are generally safer because the foil separates the skin from the razor's blades. This action reduces shaving cuts. 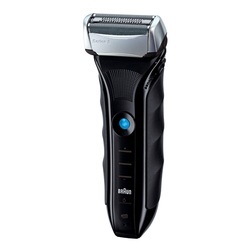 Many modern electric razors also use rechargeable batteries and charging units with electrical components such as resistors and capacitors that manage and control the electrical current. This makes them safer to use near water. Shaving isn't going away anytime soon. Love it or hate it, it looks like shaving is here to stay. Shaving as part of an everyday routine is as common as your daily shower, your first coffee of the day, and your morning commute. For this reason, the shaving industry is always searching for bigger and better razor technologies to make your daily shaving experience just a little more pleasant.